This vintage-style necklace features a copy of a historic map of Colonial Williamsburg, VA. This map is titled Carte de la Virginie et du Maryland and was published in Paris, France in 1757. 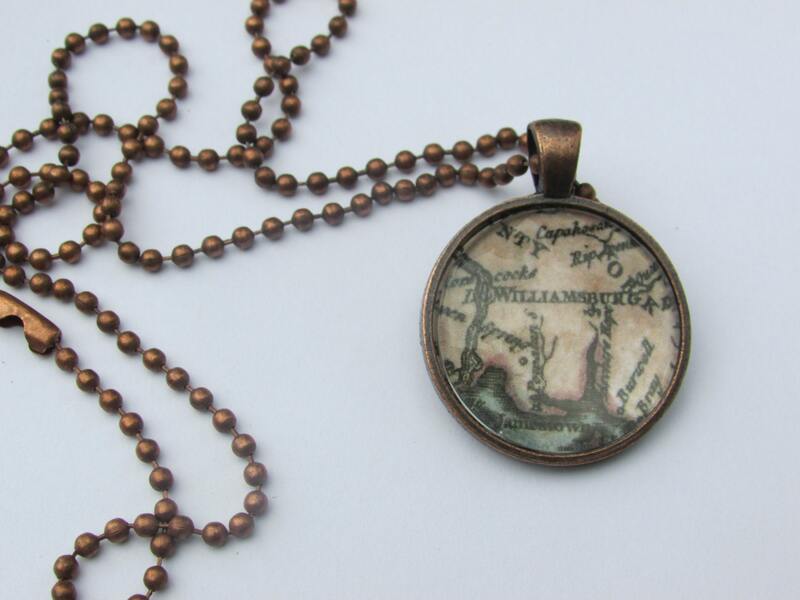 The portion of the map used for the necklace is in tan, white, blue and black and is set in a circular antique-style pendant tray. 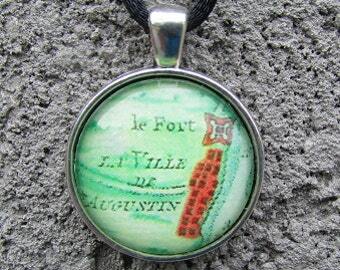 The pendant measures approximately 1 inch across and hangs from an 18 inch copper ball chain. The back of the pendant tray also has a detailed pattern. The finished glass cabochon is domed shaped and magnifies the image.